Hey everyone, we've updated some of the MySpace codes on the website and also added a few new ones to the site. Check out the list below! You can take a look at all the mspace codes and profile tweaks here. 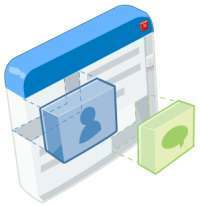 A backdoor in MySpace's architecture allows anyone who's interested to see the photographs of some users with private profiles -- including those under 16 -- despite assurances from MySpace that those pictures can only be seen by people on a user's friends list. The bug had been around since at least October, during which time it had been gleefully exploited by voyeurs, hackers, entrepreneurs and leechers; you can find pages and pages of public message board comments around the web in which posters are peeking in on 14 and 15-year-old girls and sharing what they find. Users have accessed, or attempted to access, 77,000 private profiles -- 3,000 of them today. Barely 24 hours after the story hit the front door of Wired.com, MySpace has, without comment, closed the backdoor, and the websites that were exploiting it are no longer delivering private photos. Banner Maker Update: Holidy Images Added! We've updated the banner make a bit, and also added some new holiday images. Take a look at the previews below and let us know what you think. We'll be adding even more holiday images to the rest of the website in the coming weeks. But in the meantime, give us an idea what you'd like to see most. Google is to collaborate with MySpace on OpenSocial, an Open Platform for Social Application Development. Consisting of a set of common APIs that can be used for building Web-based social applications. The hope is that they will simplify the process of developing social applications. Facebook, termed as the next big thing on the internet, has for sometime had applications which users can add and use. Noteworthy is these applications have recently become immensely popular with some of them being sold on sites like eBay amongst others. How OpenSocial is different is this the first time that multiple social networks have been made accessible under a common API to make development and distribution easier and more efficient for developers. 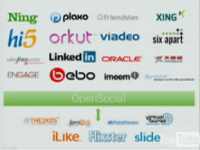 In others words the influence of Google now spans over not just Orkut but also giants like MySpace, Bebo, iLike, Salesforce.com LinkedIn, Hi5, Friendster, Oracle, Flixster, RockYou, and Slide and more. In others other words Google's masterstroke has got practically anybody who matters on the internet under its influence. Using Opensocial, the developer of applications will be able to have it interact with any social network site that supports the OpenSocial, at this time giving access to over 200 million users. Microsoft has won a high-profile technology industry battle with Google and Yahoo to invest in the social networking upstart Facebook. “MySpace is not based on authentic identities. Facebook is based on who you really are and who your friends really are. That is who marketers really want to reach, not the fantasy you that lives on MySpace and uses a photo of a model,” he said. We had a little bit of downtime earlier due to some DNS problems. We've resolved all the issues now, and implemented some more redundancy so something like this won't happen in the future. After all that, the problem should be resolved now, but if you sent us an email within the past week or more and haven't gotten a response, you could try sending the email again. We're back up and running on a new host. If you see anything strange send us an email. We're in the process of moving the site over to a much faster new host. If you see this news item that means you're viewing the site from the new host. If you notice any problems with the website please let us know immediately. Check out some of the new myspace graphics we've added! Some of the myspace codes were not working correctly so we've updated them. Hide the Search Form - Hides the google search form on your profile. We've just added some Valentine's Day backgrounds to the Myspace Banner Maker. Go Check them out and tell your friends! If you have something cool to add let us know. Send us your Banner Maker feedback! We're working on updating some of the features in the myspace banner maker and we need your help! We need you guys and gals to tell us what you think we should be focusing on, or "that feature x would be really cool to add" and we'll get working on it. We're testing out a copy with a couple bugs squashed, but we'd like to work on a few more features before we release it! Everyone that uses the myspace banner maker, send us some feedback or email us. NEWS Corporation's MySpace.com is in talks to bring the social-networking site to China with trade publisher IDG's Chinese venture arm and former China Netcom Group chief executive Edward Tian, the Wall Street Journal has reported. Citing people close to the situation, the WSJ said that News Corporation chairman Rupert Murdoch's wife, Wendi Deng, was likely to join the board of MySpace China. Although News Corporation has publicly announced its intention to expand MySpace into China, people close to the matter said no deal has been completed yet, the paper said. But MySpace, a web site that lets users post their own videos, pictures and blogs online, could face stiff competition and regulatory hurdles in China, the paper said, as other big US internet players have struggled to topple local rivals in China.